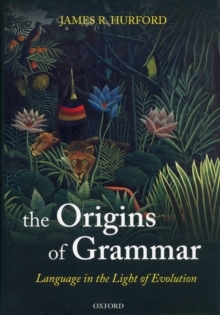 This book explores the origin and evolution of speech. The human speech system is in a league of its own in the animal kingdom and its possession dwarfs most other evolutionary achievements. During every second of speech we unconsciously use about 225 distinct muscle actions. 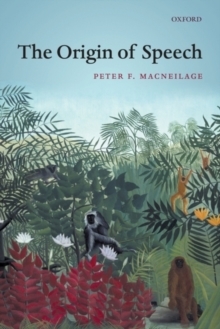 To investigate the evolutionary origins of this prodigious ability, Peter MacNeilage draws on work in linguistics, cognitive science, evolutionary biology, and animal behavior. He puts forward aneo-Darwinian account of speech as a process of descent in which ancestral vocal capabilities became modified in response to natural selection pressures for more efficient communication. 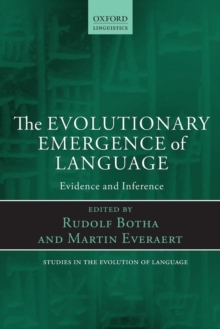 His proposals include the crucial observation that present-day infants learning to produce speech revealconstraints that were acting on our ancestors as they invented new words long ago. This important and original investigation integrates the latest research on modern speech capabilities, their acquisition, and their neurobiology, including the issues surrounding the cerebral hemispheric specialization for speech. 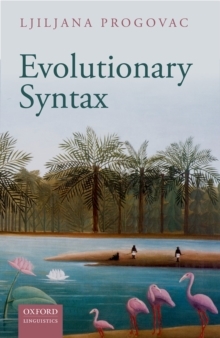 Written in a clear style with minimal recourse to jargon the book will interest a wide range of readers in cognitive, neuro-, and evolutionary science, as well as all those seeking to understand the nature and evolution of speech and human communication.